Welcome to 2017, The Year of the Safari ! The entire Sun Destinations’ team is excited about 2017. 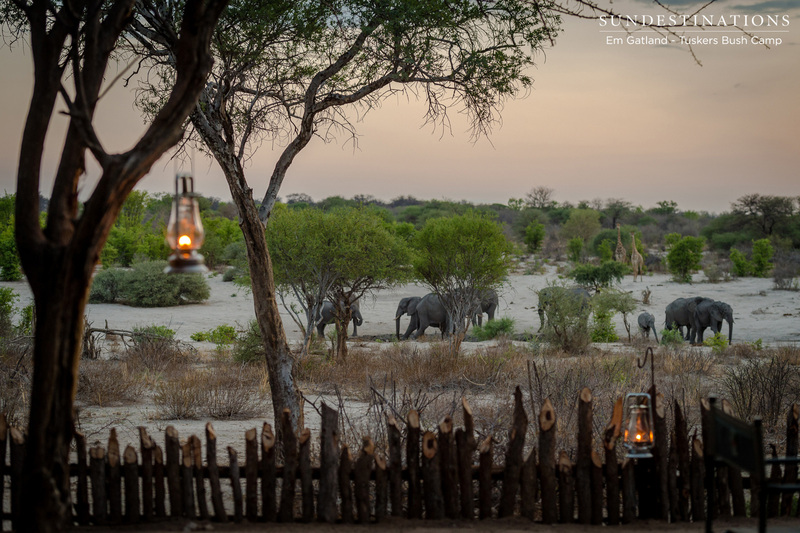 2016 saw us immersed in revamping new camps in Botswana, pouring our hearts into the latest online innovations and cleverly combining tech with the bushveld lifestyle. The camps and lodges we market, refurb and become involved with on a ground level have become intertwined into our daily lifestyle. 2016 has been heavily influenced by Botswana as a destination and we’ve made headway in terms of adding this prime safari destination to our collection. For us, what we do is not just a job, but a way of life. 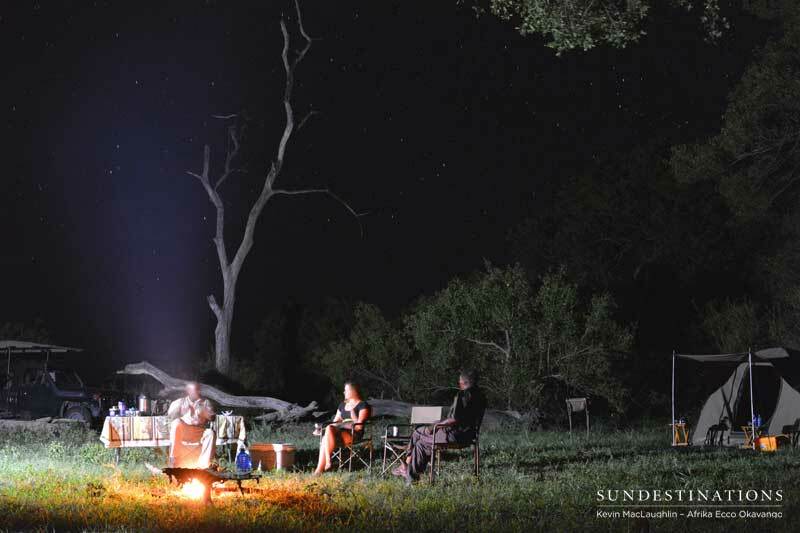 We carefully select authentic camps that knit together the best of wildlife, lodge living and atmosphere. A true bushveld experience is about the people, wildlife and what happens back at the lodge. We do traveller, not tourist. 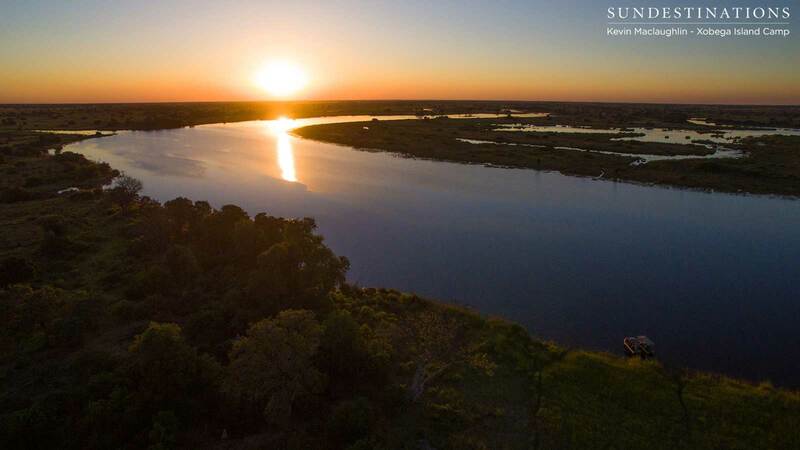 The Sun Destinations portfolio is a growing representation of some of Southern Africa’s most coveted, yet preserved wildlife areas; a careful selection of authentic bush camps and supreme safari lodges to be discovered. 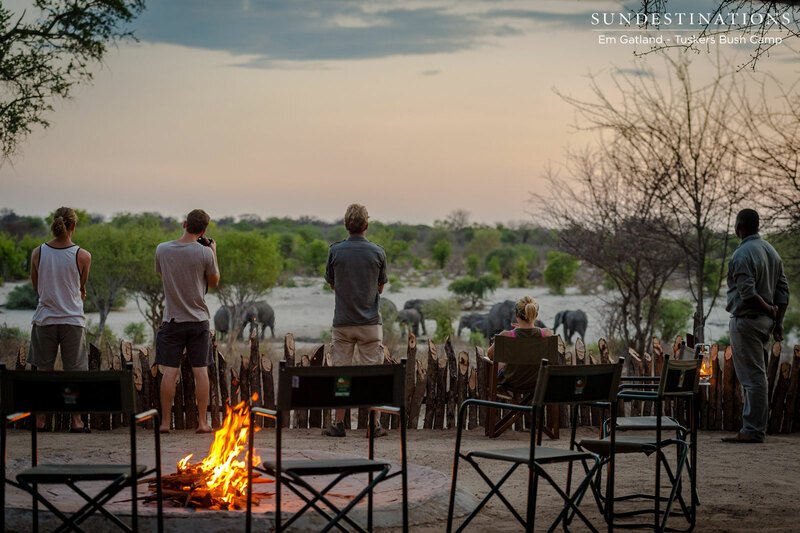 From riverside boma fires, to uninterrupted views of the stars, our lodges are selected based on their location, their owner-managed intimacy, and excellence in wildlife encounters. This is the home of marketing and reservations for a collection of Africa’s Hidden Secrets. We’re very excited about the developments for 2017 – we’re aiming high and we’ll never rest. With our guest feedback and constant need to strive for improvement both offline, online and in the bushveld; we’re going to make a success of 2017. We’d like you all to do the same – and if you haven’t been on safari, or are thinking of indulging in the spirit of Africa again, then make 2017 the year of the safari! 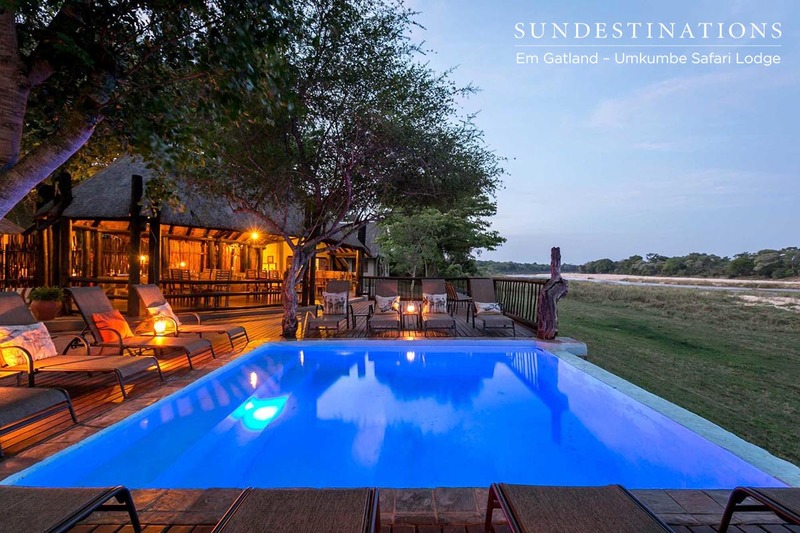 Located in the Balule Nature Reserve lies the luxurious Ezulwini lodges – River Lodge and Billy’s Lodge. Suites come complete with private plunge pools and there is plenty to do while at the lodge – there’s even a cave-like wine cellar for those who enjoy a tipple. When you’re not sampling wine you can always take a wander on the wooden skywalk that weaves over the crunchy bushveld below. Look below and you’ll probably spot herds of elephant! 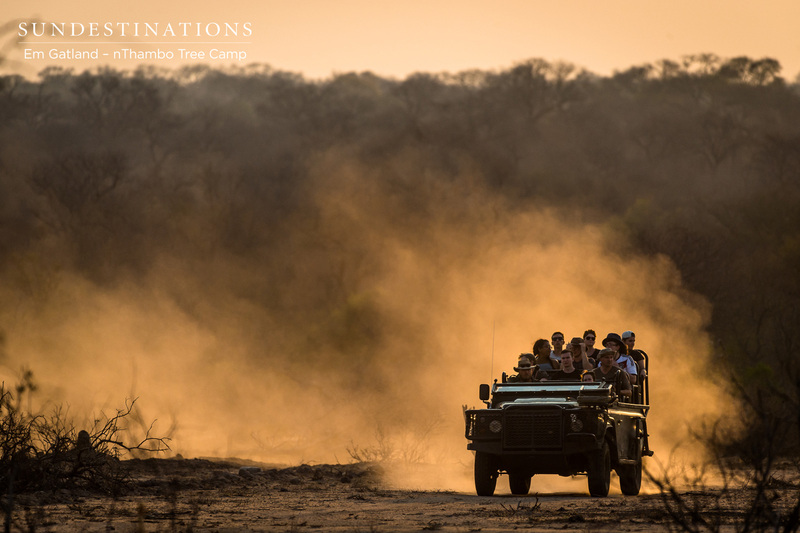 The daily game drives will leave you aching for the bushveld when you return home. The focus? 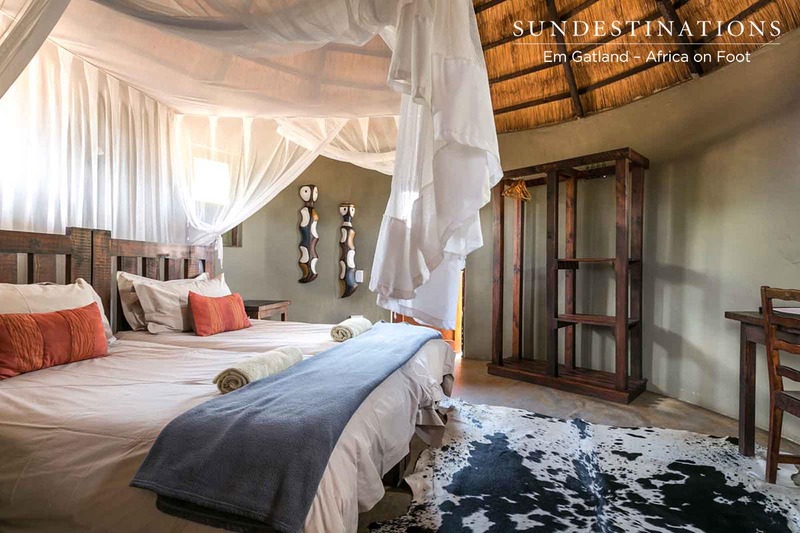 Bushveld luxury combined with the modernities and relaxed living of home. Located in the heart of the Klaserie Private Nature Reserve, Africa on Foot specialises in professional big five walking safaris. We’re not talking casual five minute strolls or massive treks, but rather a routine 3 hour walk to begin your day. Evenings are spent enjoying game drives. 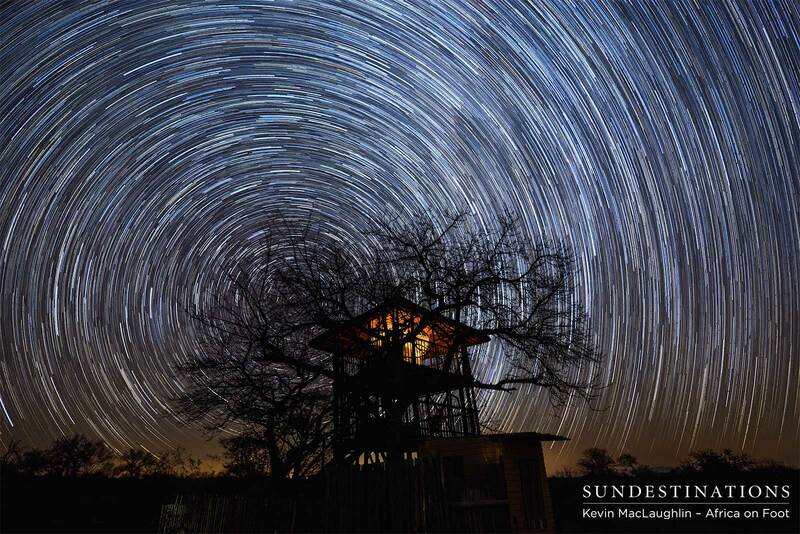 If the adventure isn’t enough for your wild African spirit, then we suggest a night in our treehouse. The focus? 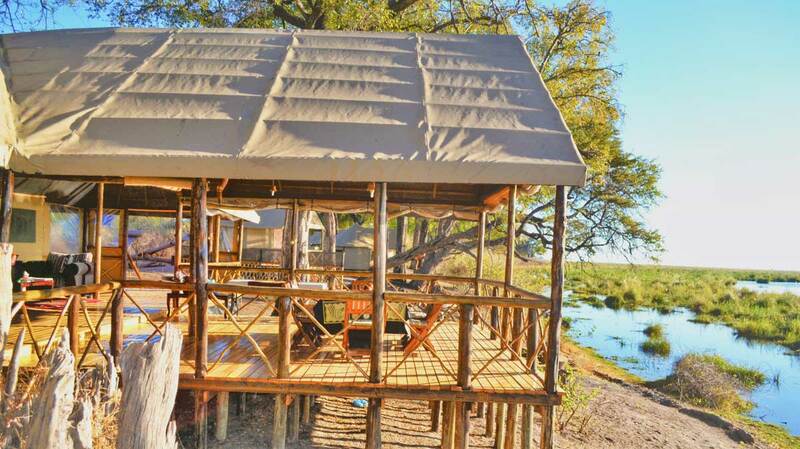 A comfortable camp with good food, exquisite atmosphere and ample game viewing opportunities. 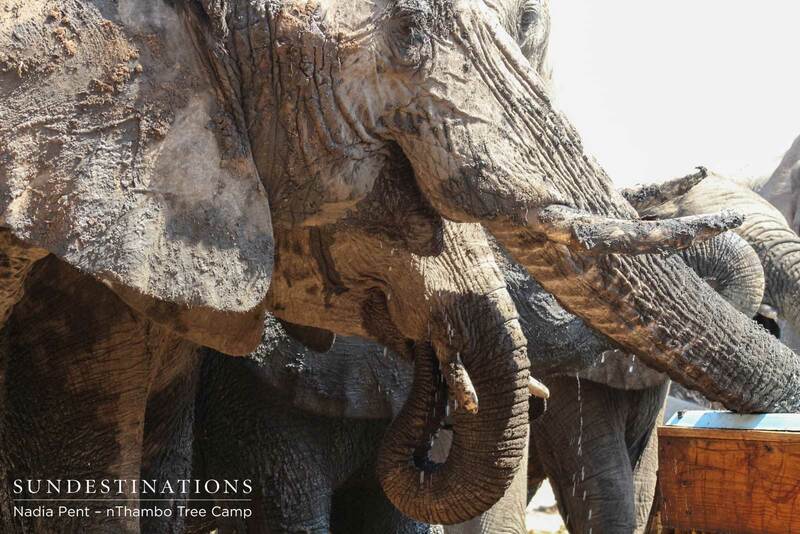 nThambo Tree Camp is the sister camp to Africa on Foot and offers a more luxurious option for guests. 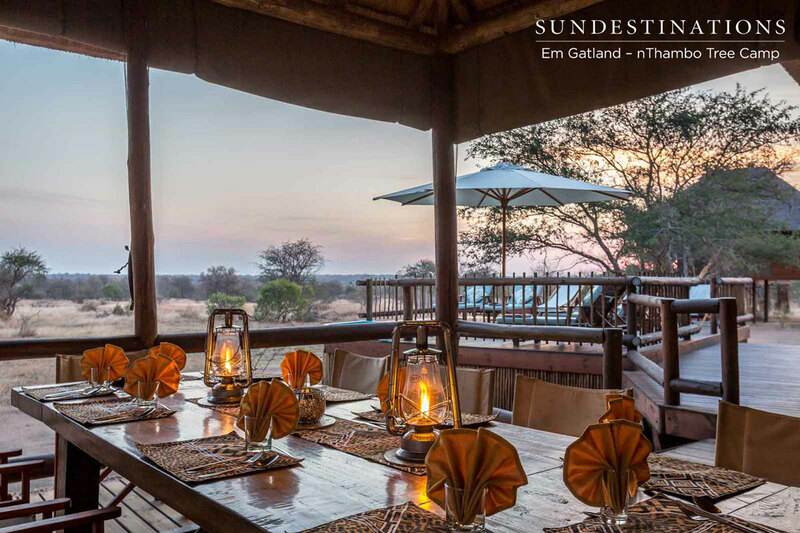 It’s a mere stone’s throw away from Africa on Foot and offers the same game viewing opportunities as its sister camp, but without the focus on walking safaris. 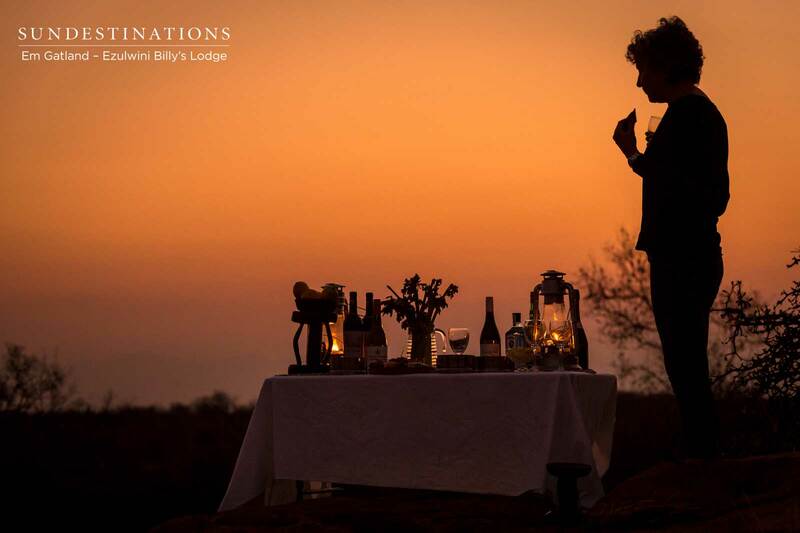 This is an intimate camp with a unique type of accommodation and a personalised safari experience. 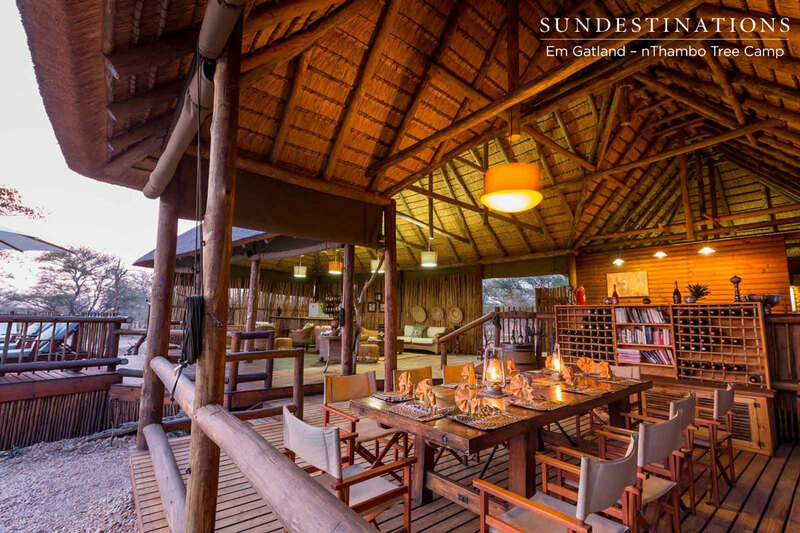 There are five wooden chalets on stilts offering expansive views of the Klaserie bushveld and each chalet comes with its own balcony. Don’t be surprised if you hear the scuttling of honey badgers under your room at night ! The focus? 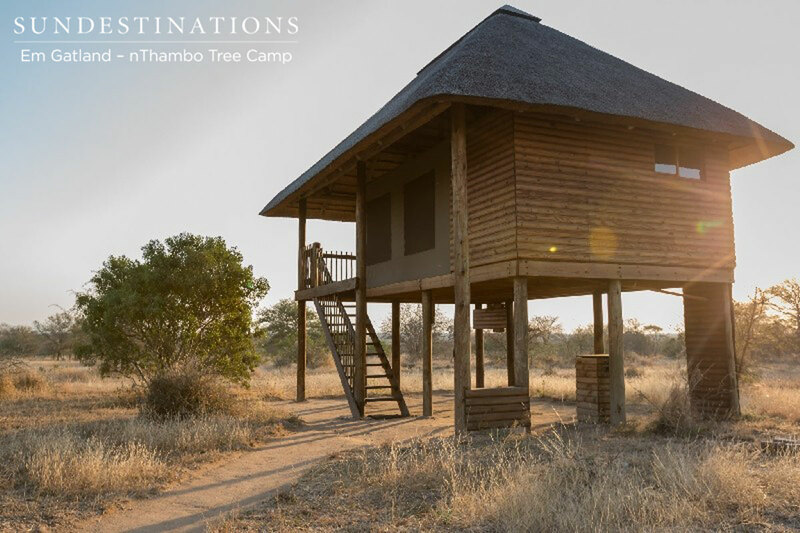 An rare opportunity to stay in treehouse style accommodation while dabbling in a bit of luxury and trying to spot the big five from your balcony. The Sabi Sand is considered by many to be the premier reserve within the Greater Kruger. 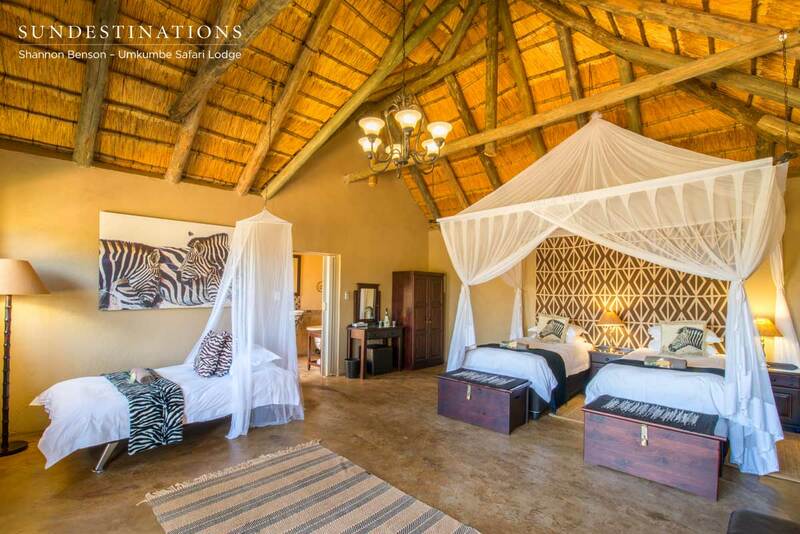 It’s home to exclusive five star lodges and has certainly made its mark on the international market. 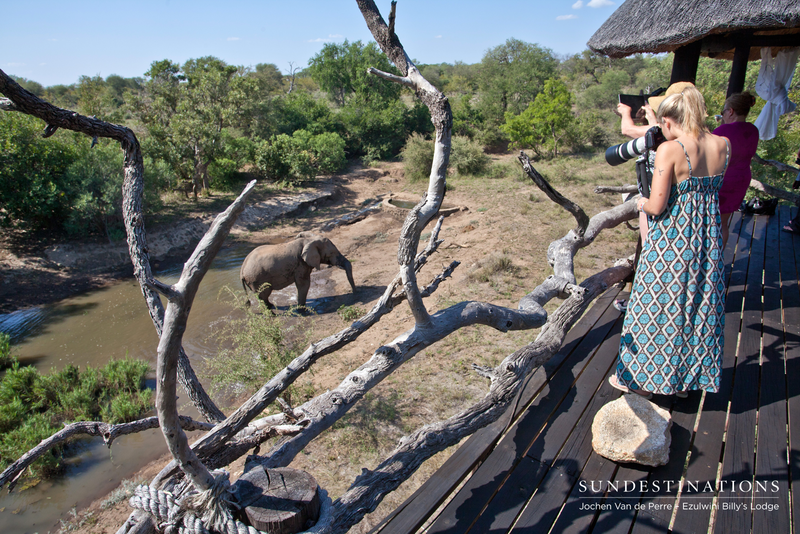 Umkumbe offers guests seeking prime game viewing in an exclusive reserve a more affordable option. 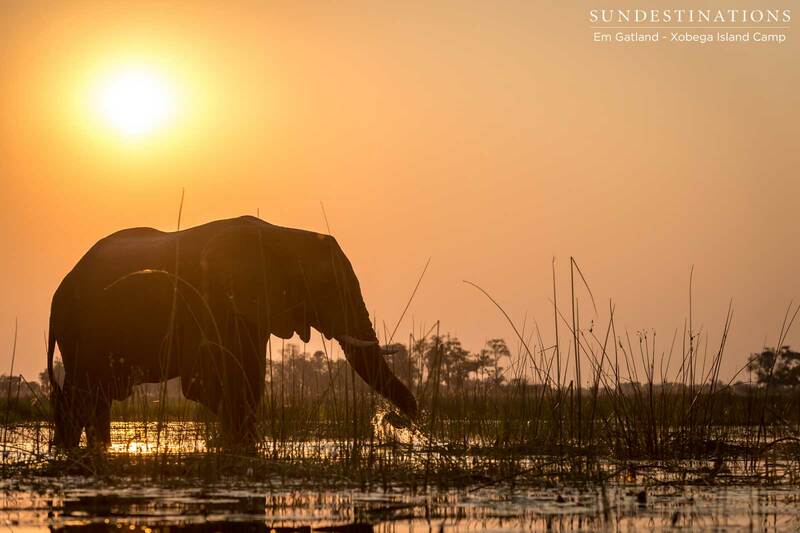 Located on the banks of the Sand River, Umkumbe is most certainly rewarded with a wealth of wildlife sightings. And that’s just from the lodge ! The focus? 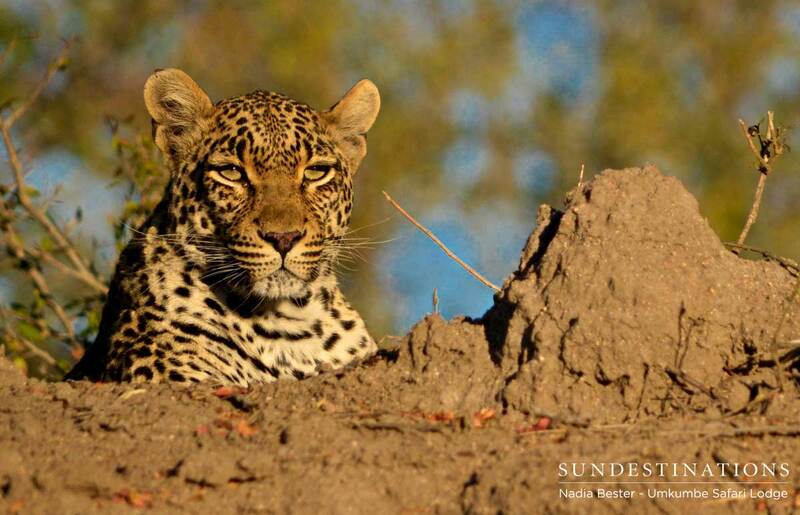 Sabi Sand is leopard central and Umkumbe Safari Lodge is never short of sightings. Hippo, buffalo and elephant can often be found enjoying the spoils of the Sand River which flows in front of the lodge. 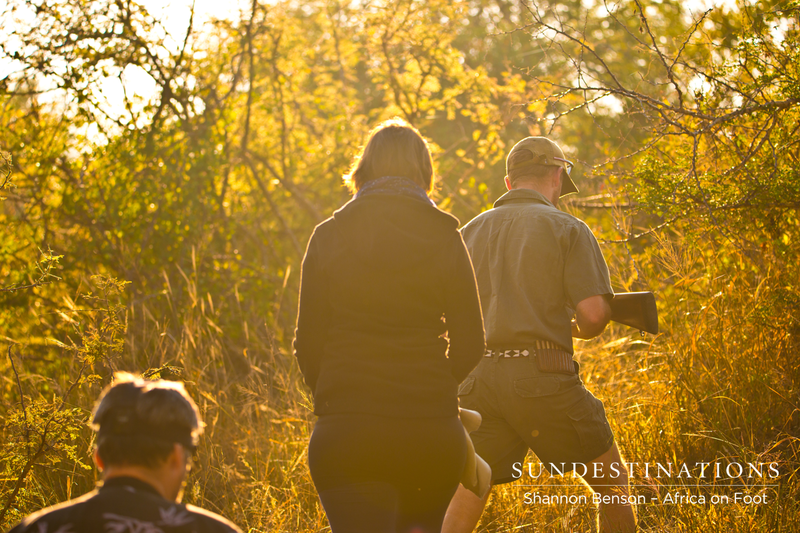 The focus is on providing exquisite game viewing at an affordable rate in an otherwise exclusive reserve. 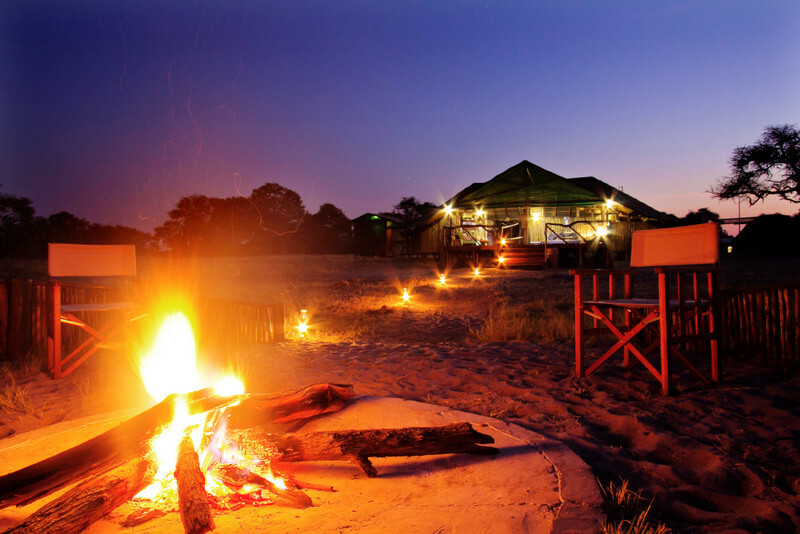 Set in the Okavango Delta on an untouched piece of paradise, lies Xobega Island Camp. 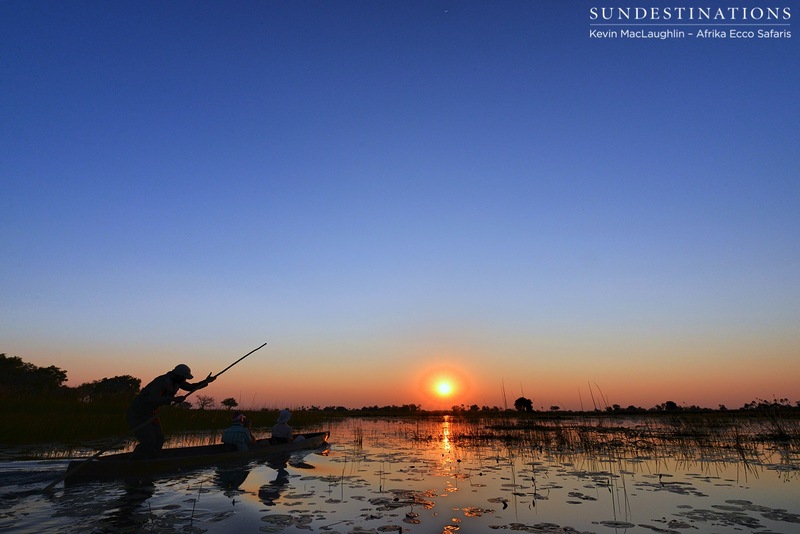 Getting there is part of the fun – you depart from a boat station in the Moremi Game Reserve and meander across the Okavango Delta to find this slice of heaven. Xobega Island Camp is a thoroughly wild paradise with canvas guest tents, a dining tent and two lounge gazebos containing wicker furniture – just perfect for outdoor relaxation. The focus? The camp is rustic and thrives in a remote environment completely untouched by tourism. 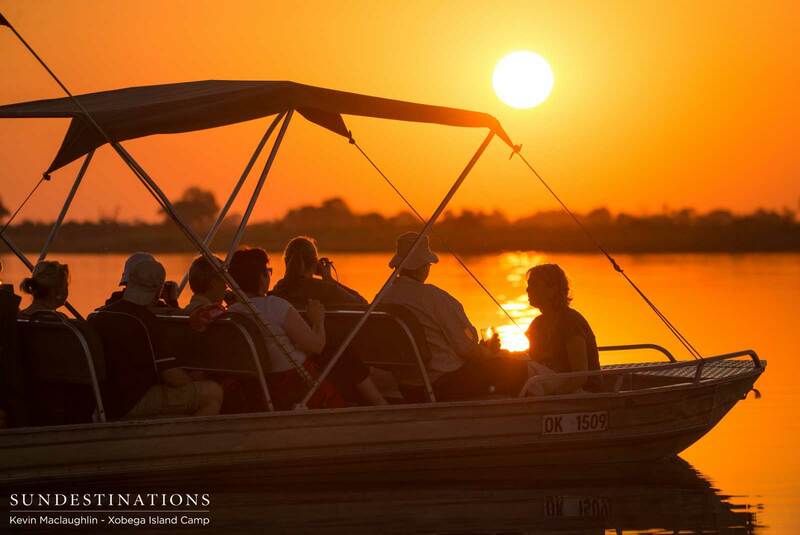 Guests can enjoy walks on the island, water safaris and sundowner cruises. 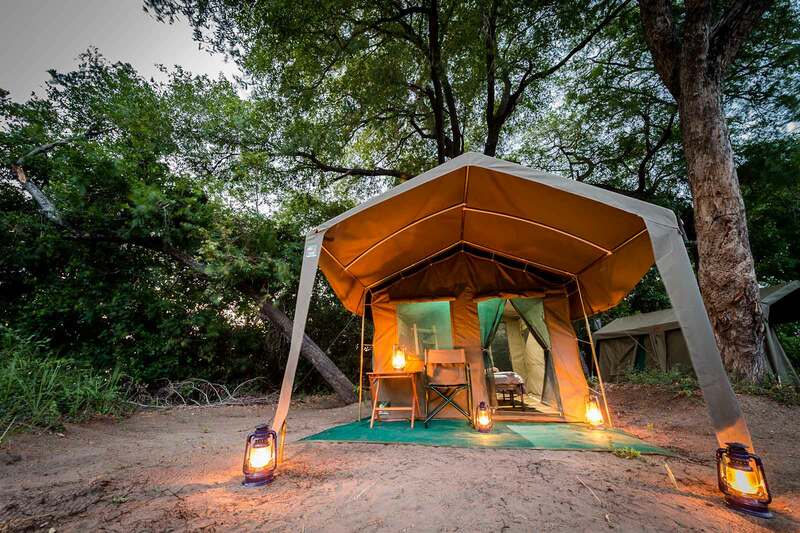 If you’re looking for a proper bushveld experience in Botswana, then Tuskers Bush Camp is the place for you. 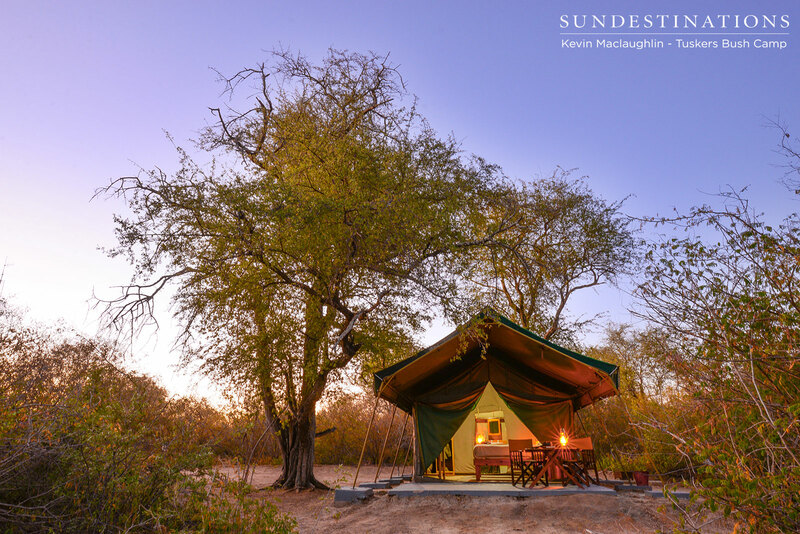 Located on a 365 000 hectare tract of land comprising mixed acacia, mopane woodland and Kalahari scrub; this camp epitomizes the vast expanse of pristine bushveld synonymous with Botswana. 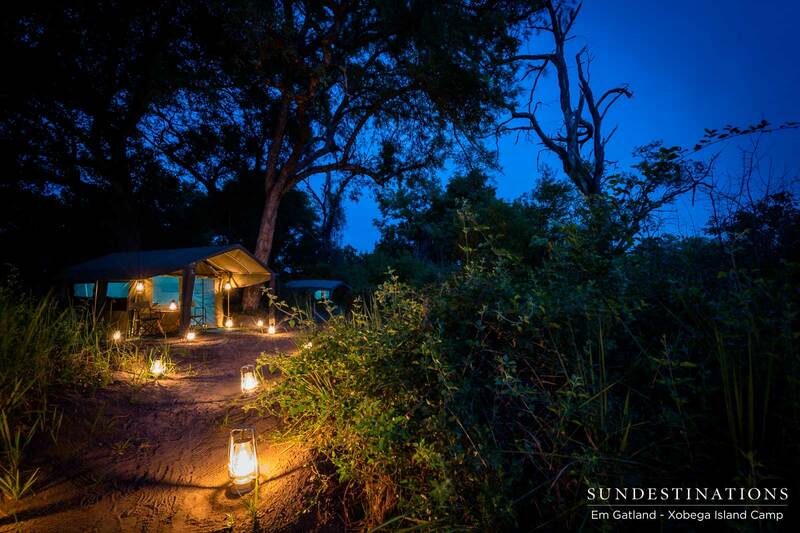 Safari tents surround a boma area overlooking a bustling waterhole. The focus? The fact that the Kwatale Conservancy, where Tuskers is located, is very remote. 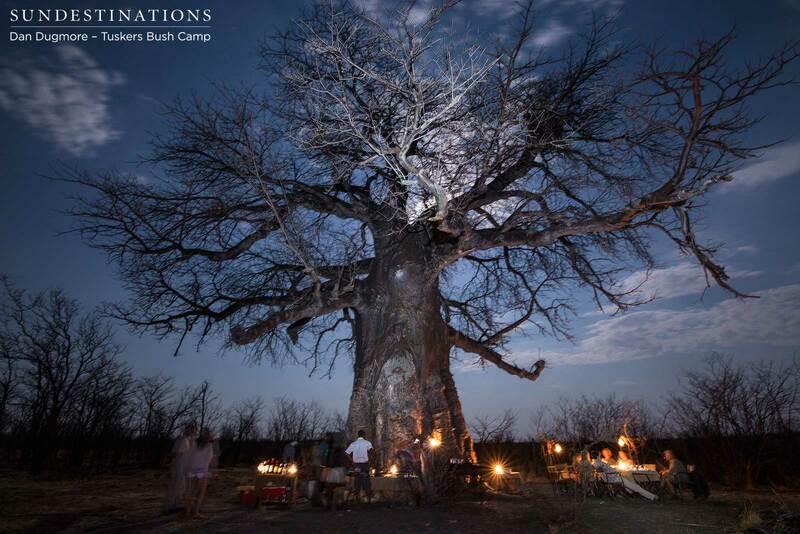 The bush bar is a winner with guests and so is the baobab experience! This is one for the adventurous guest who still likes to be pampered in a small way. 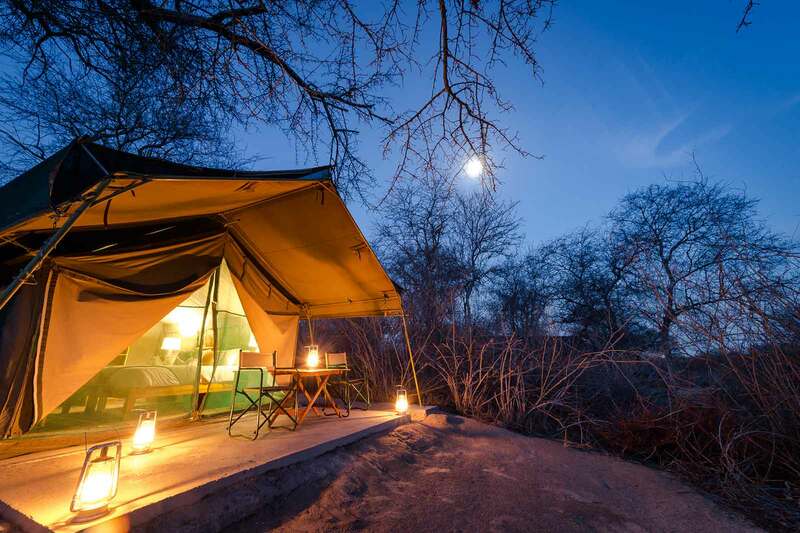 This is a mobile camping safari highlighting the game rich areas within Botswana. 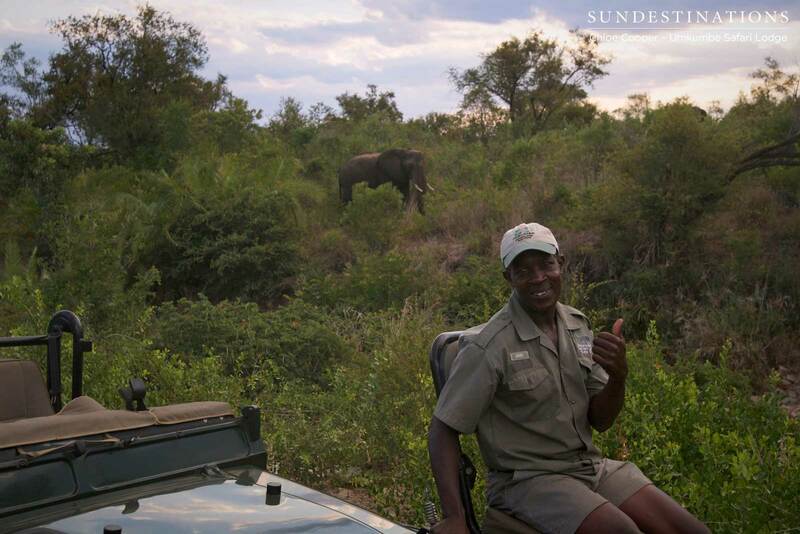 Areas not accessible to lodge guests can be frequented by these mobile safaris. 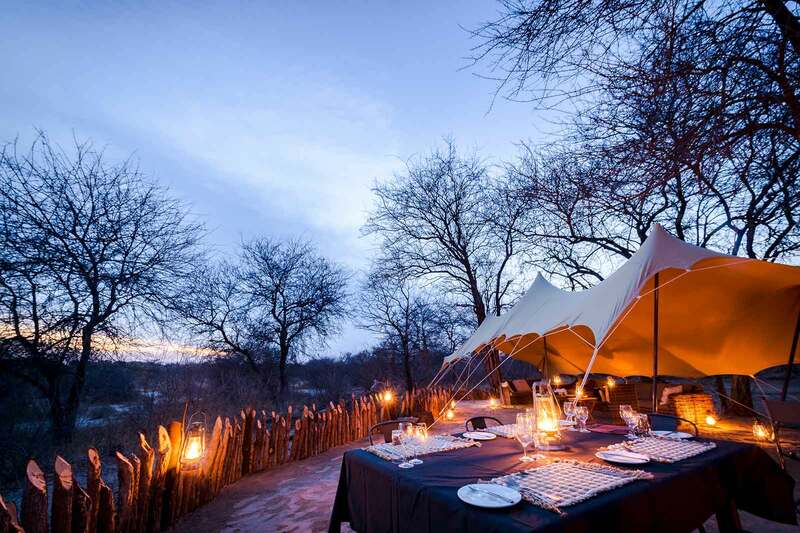 Your safari tents are set-up for you and meals are made while you soak up the atmosphere of Botswana. The focus? It’s completely up to you. There are a number of set itineraries from which to choose and don’t worry – each dome tent comes complete with an en suite bathroom. 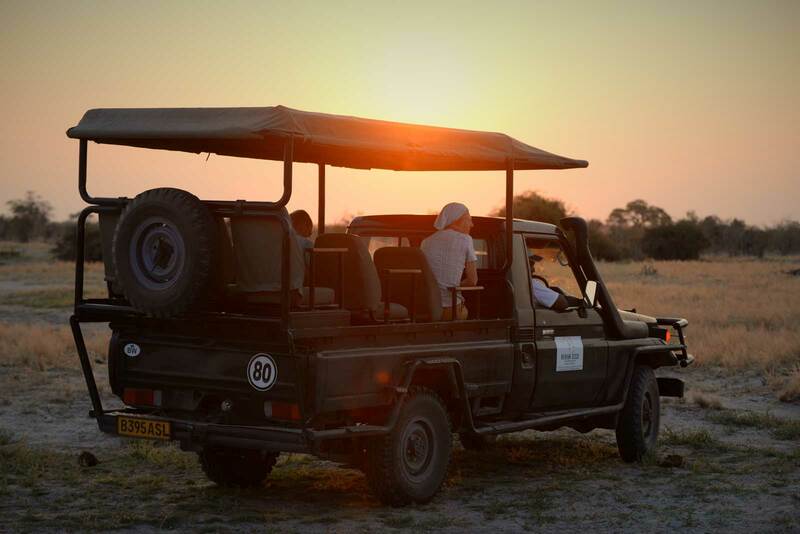 John Chase Safaris is a luxury mobile safari operation offering guided tours of Botswana’s top destinations using both luxury camping and lodge accommodation. 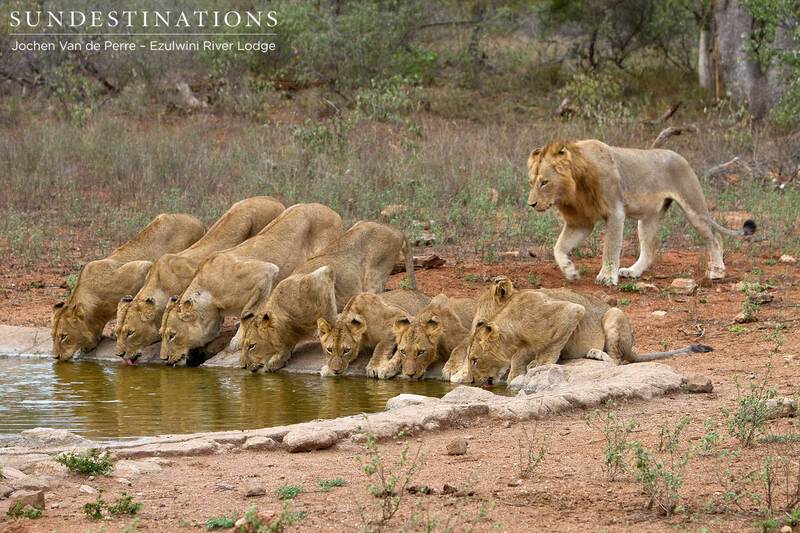 Explore pristine areas such as the Moremi Game Reserve, the Central Kalahari and the Chobe National Park. You get to choose the itinerary and length of time to suit your safari needs. 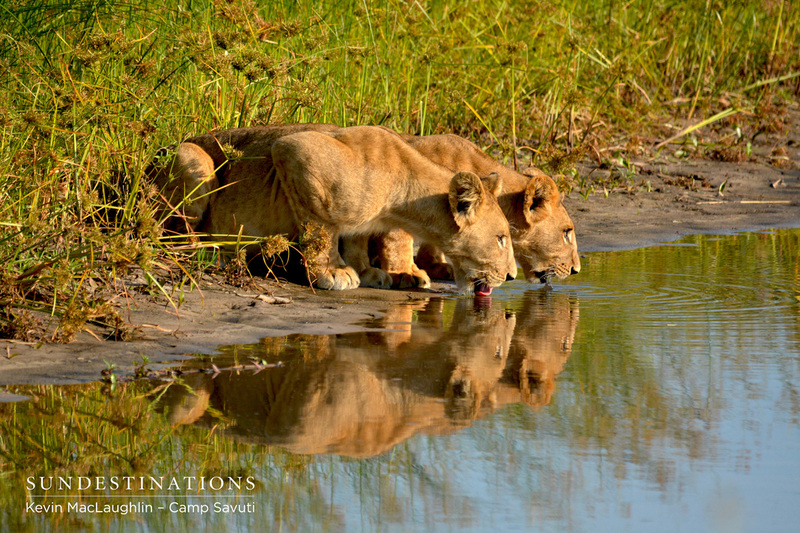 Camp Savuti is located on the banks of the Savuti channel, which is an area rich with predator activity. 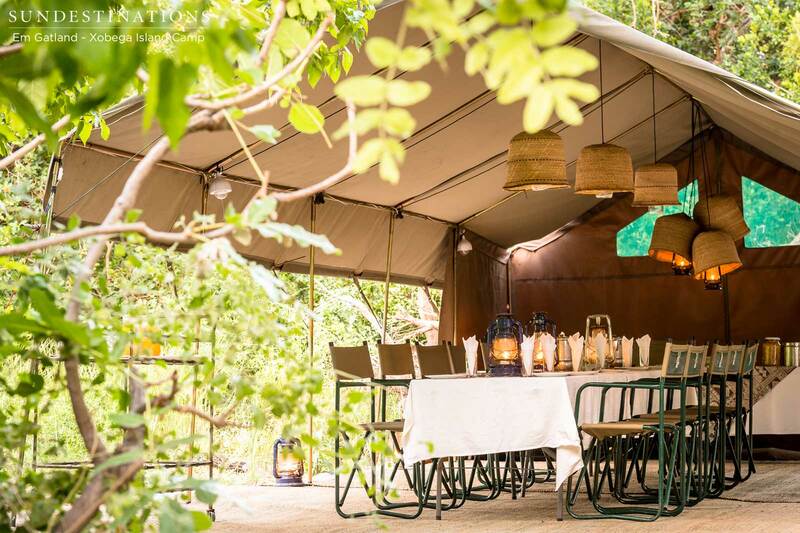 The simple, tented accommodation comprises 5 Meru style tents constructed from wood and canvas. The design of the camp certainly doesn’t detract from the beauty of the surrounding area. The focus? The camp is located in a sought after location and can best be described as luxury camping. Camp Linyanti is a seasonal camp open from April – October. 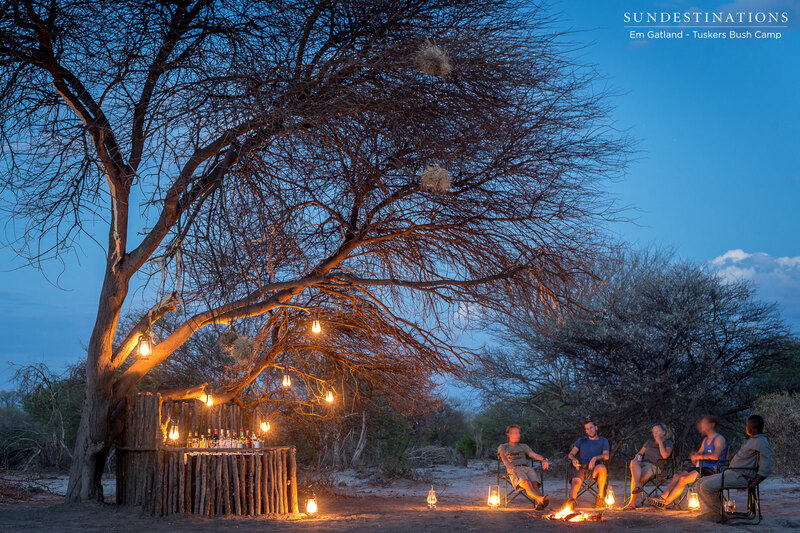 Located in a high wildlife traffic area on the banks of the Linyanti in the uncrowded corner of Chobe National Park, this camp offers a raw African experience. Accommodation is in 5 individually decorated Meru style tents. The focus? 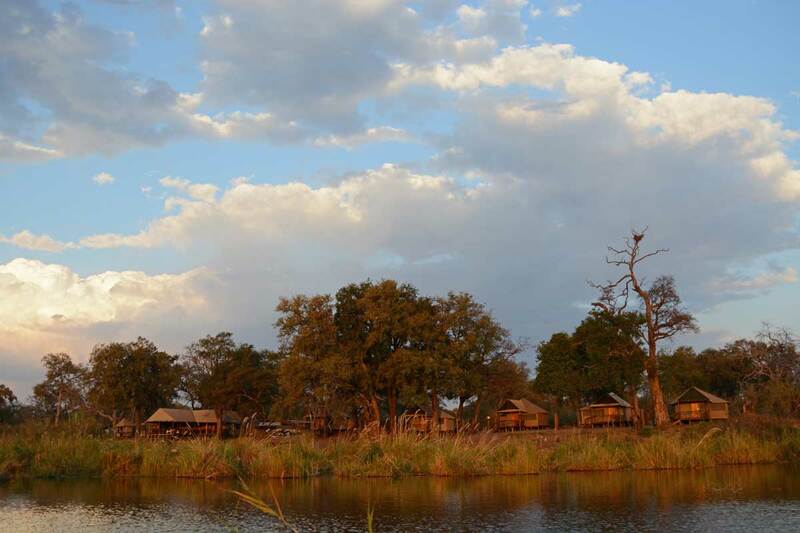 Camp Linyanti is all about the expansive views overlooking the marsh, channel and waterf-filled wilderness.